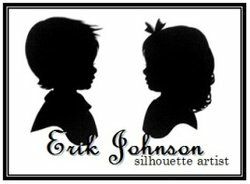 Third generation acclaimed silhouette artist Erik Johnson will be performing his scissors magic at Totally Kids fun furniture & toys on Saturday, March 31. He will create the original likeness of your little one’s adorable profile from 10 AM to 5PM. Spaces are filling up quickly so call 952-881-2425 soon to reserve a time. 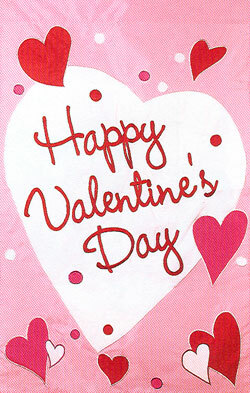 Silhouettes are $25.00, and duplicates of the same person are $15.00. Framing is available. Bonus: Each child will receive $5.00 in Totally Kids cash with their silhouette portrait! Flowers are always a big part of Valentines Day, but this year try a little flour instead. There are not many years here in Minnesota that we can Heart Attack our neighbor’s lawn with white hearts but looks like this may be the year since we are lacking the other white stuff. If somehow here is a normal snowfall for the day of romance, we will use our red snow paint instead of the flour. The House That Lars Built shares this really easy flourfull idea. Step 1: Draw a large heart onto a piece of large paper (over 11×17″). I found that the bigger the heart the better it turned out. Smaller hearts don’t show up very well. Step 2: Cut out heart. Step 3: Pour a large amount of flour into the sifter over heart shape. Start with the edge of the heart and work towards the center. So, go ahead and give your neighbors a heart attack this Valentines Day! *with a $10.00 or greater donation to Children’s Heartlink. Congenital heart disease is the world’s most common major birth defect, affecting one in every 120 children. Ninety percent of those newborns are in areas of the world where appropriate medical care is inadequate or unavailable. Children’s HeartLink a nonprofit organization working in partnership with health care centers in underserved regions of the world to build sustainable programs to prevent and treat heart disease among children in development countries by mobilizing extraordinary hearts, minds and resources around the world. Totally Kids fun furniture & toys is a locally owned family business in Minneapolis, MN that has been serving the community since 1983.You’ll find us conveniently located less than one mile from the famous Mall of America. Call, click or come in soon, we would love to see you! 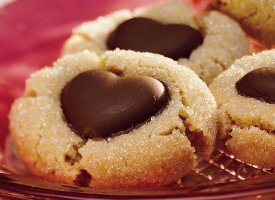 Here is a great little Valentine Cookie recipe. In medium bowl, stir cookie mix, oil, water and egg until dough forms. Shape dough into 36 (1-inch) balls; roll in sugar. Place 2 inches apart on ungreased cookie sheets. Shape dough into 36 (1-inch) balls; roll in sugar. Place 2 inches apart on ungreased cookie sheets. Bake 8 to 10 minutes or until light golden brown. Immediately press chocolate candy into top of each cookie. Remove from cookie sheets to cooling racks. Cool completely, about 20 minutes, before storing in tightly covered container. HINT: For even baking, make sure cookies are the same size. Cookie dough can be covered and refrigerated up to 24 hours before baking. If it’s too firm, let stand at room temperature 30 minutes.